Wow! 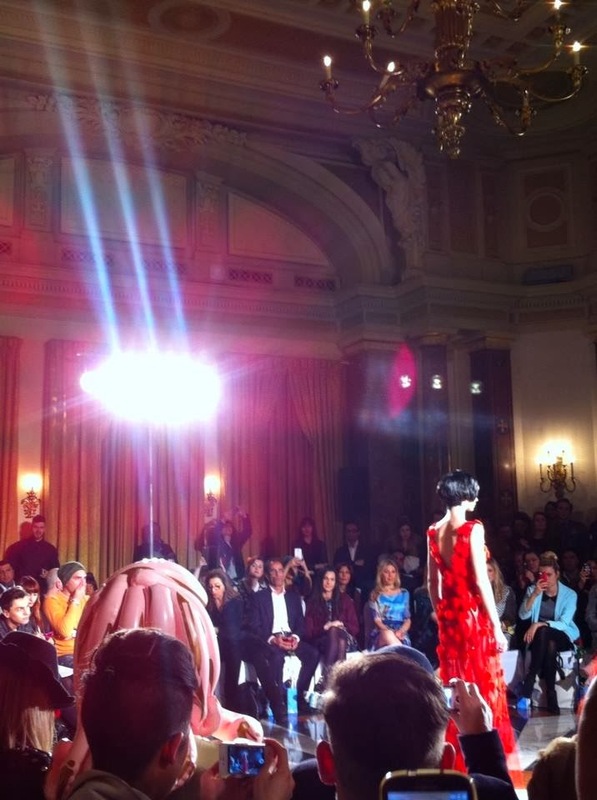 I have just got back from the most amazing weekend in London, experiencing my first ever time at London fashion week! Firstly i would like to thank Dee Vesali Pr for inviting me to the Fashion International show, i had the most amazing time! All of my life i have dreamed of attending an event in this famous week held in London, the whole atmosphere at Somerset house, the array of different outfits and the excitement of even being invited to watch a show was crazy. After starting blogging about half a year ago i am astounded that i was even invited to go, so i am very grateful for that, it was also one of my blogging resolutions so i can definitely tick that off my list now! It was undoubtedly the best experience i have ever had and i hope to attend another on e sometime soon! I’ve put together an array of some of the best pictures from the night, i was snapping on both my Iphone and camera so i apolgise about the difference in the quality of the pictures, as i was a few rows back it was also pretty hard to get clear pictures of the collections but i think you can get the idea of how amazing the evening was. Fashion International show was held on Saturday at the Charing Cross hotel which was such a stunning setting for the show, i believe it has been recently refurbished and everything was so luxurious! Fashion international sees a multi designer showcase with a line up of both British and international emerging designers for the A/W14. All of the collections were really so unique and the models wore the clothes so well. I am also loving the low pony tail look which is one of the signature hair looks seen in both NYFW and LFW. This journalist had all eyes on her before the show started, admittedly i didn’t have a clue who she was but i believe her name is Pandemonia and she is an undercover journalist who dresses in Lycra and wears a doll face mask, Google her you wont be disappointed! But the collections which really stood out to me and which were Milusha London which offered stunning outerwear including coats,jackets and scarfs all which were crafted with gorgeous furs, it was definitely my favourite collection as i am obsessed with fur, i definitely wouldn’t mind having something from this collection! I also loved Yuvna Kim whose collection Rubis Rouge tied in perfectly with valentines day,the dresses fell beautifully and the glittering lavish red collection was definitely admired by everyone in the room as well. The man in front of me for the whole of this collection had his phone up blocking my view so it was impossible for me to get any good shots sadly, although if you follow me on Instagram i uploaded a video of Yuvna Kims collection where you can see the dresses more clearly. Very red riding hood esque. 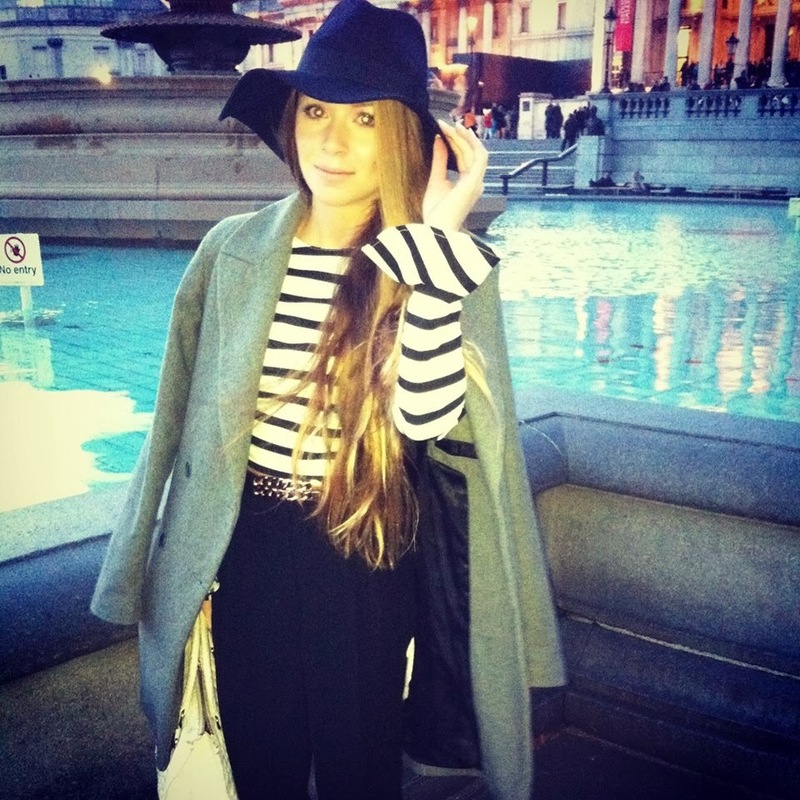 So this is what i wore to lfw! I naturally had to buy something new to wear, the top instantly appealed to me, the sleeves are so pretty and i haven’t seen anything like this before, i teamed it with some high waisted trousers but i love how baggy they get towards the bottom, it definitely gave shape and volume to the outfit. i also had planned to wear some heeled sandals to the event but when i realised how far i had to walk between the hotel and the tubes i opted for my boots, they didn’t look as good with the outfit but it was definitely the best option as i would have been moaning about my feet aching all night haha. Wearing a hat was also a mistake as it was SO windy and i was having to hold onto my hat the whole evening, but i think it really helped to make the outfit. Overall, i had the most amazing experience ever and i cant wait to go back for more, i definitely have the Fashion week bug! Thanks for reading! 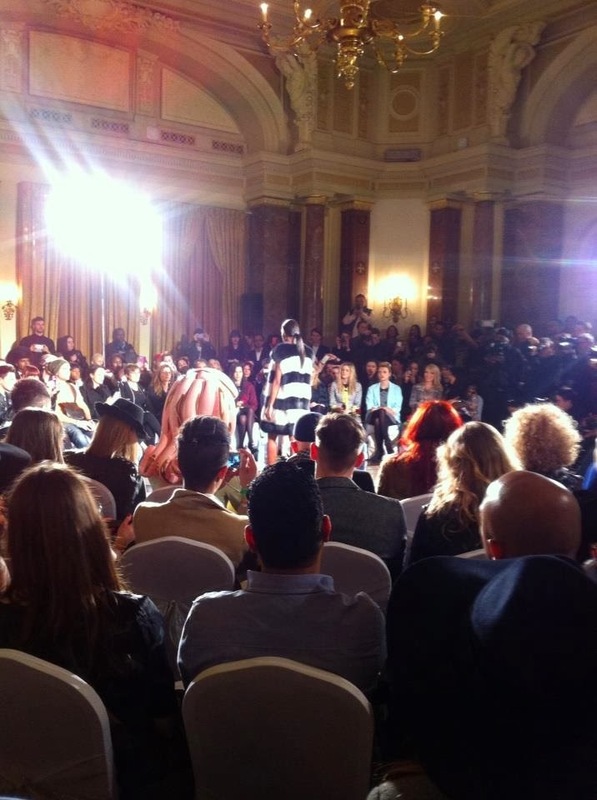 What do you think of my first LFW experience? Did dyou like my outfit? 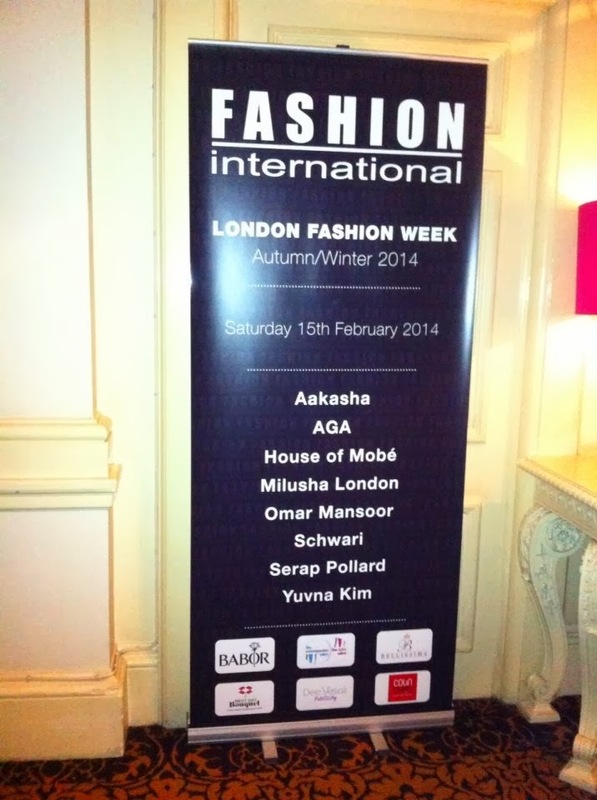 Have you been or are going down to LFW this year?